is one of the most swinging sax and clarinet players, citing the influence of Johnny Hodges. Doug has been delighting audiences for over three decades, working in Minneapolis, Minnesota area bands including The Wolverines Big Band, The Mouldy Figs, Red Wolfe’s Ellington Echoes, the Hall Brothers Band, the JazzMn Big Band, the Russ Peterson Big Band, and many others. He has also backed many national performers such as Steve Allen, Don Rickles, Aretha Franklin, and The Temptations, and has played for such Broadway shows as West Side Story, Cats, and Chicago. Much of Haining’s musical energy goes into leading his bands. His septet, The Twin Cities Seven (http://www.tcseven.com), was founded in 1998 and plays in the tradition of the great small bands of Count Basie and Duke Ellington. In 2012 Doug teamed up with trombonist Scott Agster to form the Explosion Big Band, (http://www.explosionbigband.com) a 17 piece big band that has exploded in popularity of late, and has a contagious repertoire of Basie, Ellington, Thad Jones, and many more contemporary composers’ works. Doug also leads a small combo called The Hardest Working Band In Show Business that plays outside the Vikings stadium for a couple of hours before select home games every year. Doug also works alongside vocalizer Maryann Sullivan in her group Maryann and the Money Makers (http://maryannsullivanvoice.com/music.html). Doug provides bands of any size for private events as well. If you are looking for a group of any size for your next big thing, contact Doug for details. Use the Contact page to send Doug a message. Doug has several CDs in his name with the TC Seven (see the TC Seven web site for details). 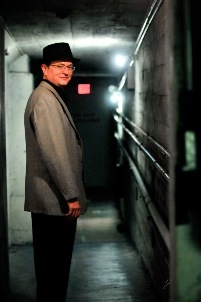 His latest release, a CD titled Last Man Swinging with his quintet, was selected to Bebopified’s top ten releases of the year (Pamela Espeland, www.bebopified.com). Doug calls Minneapolis, Minnesota his home. Copyright © 2019 DOUG HAINING.